Back when I worked outside of the home, I was an on-the-go breakfast pro. I have never been a morning person, and, no matter what time that I would go to bed at night, I could never drag myself out of bed in the morning. When I was pregnant, my husband would get up before me and make my breakfast to make sure that I had a balanced breakfast before work. Even now, I tend to get out of bed, feed the kids, work, and then make it to almost lunch time before eating breakfast. It is a terrible habit, and I’ve discovered that the more convenient that I can make breakfast, the more likely that I will remember to eat it. I also found out that coffee isn’t the only portable breakfast item that can fit into a mug; fruit and toast can, too! 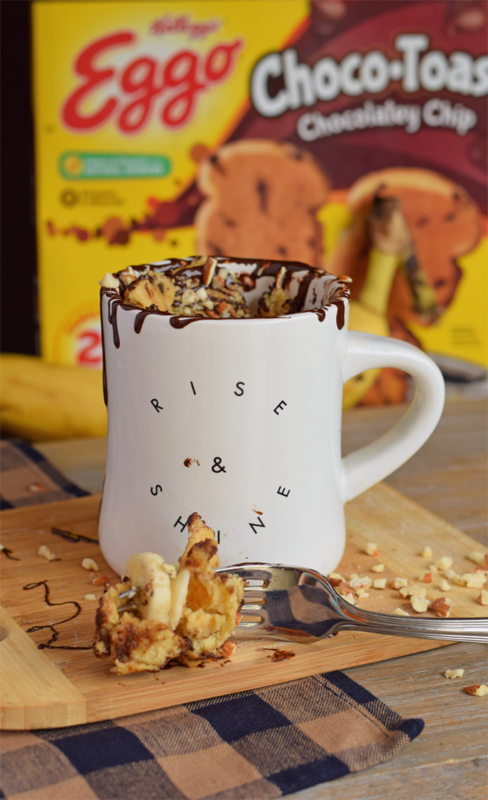 This Banana Chocolate Breakfast mug combines unsweetened chocolate, almonds, bananas, and Eggo® Choco-Toast™ Chocolatey Chip for on-the-go. 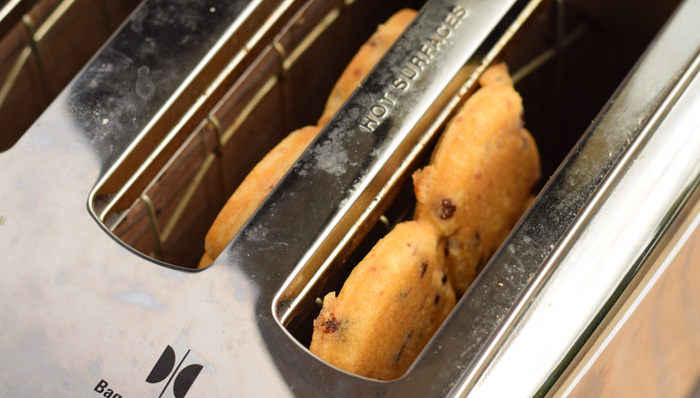 Begin by heating the Eggo® Choco-Toast™ Chocolatey Chip in the toaster. Tear the toast apart and slice the banana. Combine the two together in the mug. 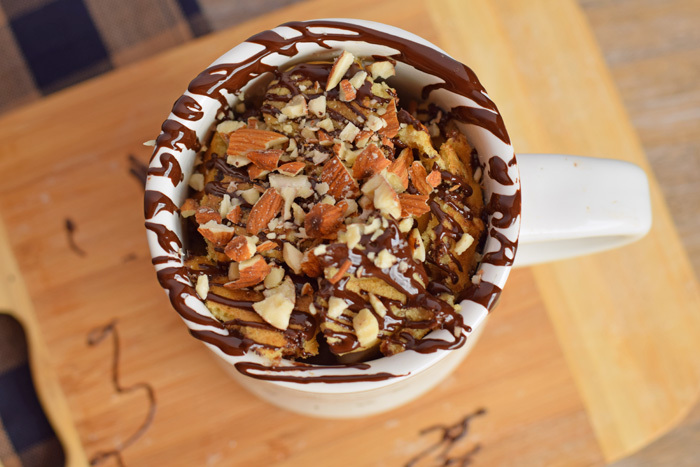 Warm the unsweetened chocolate and drizzle it over the almonds. 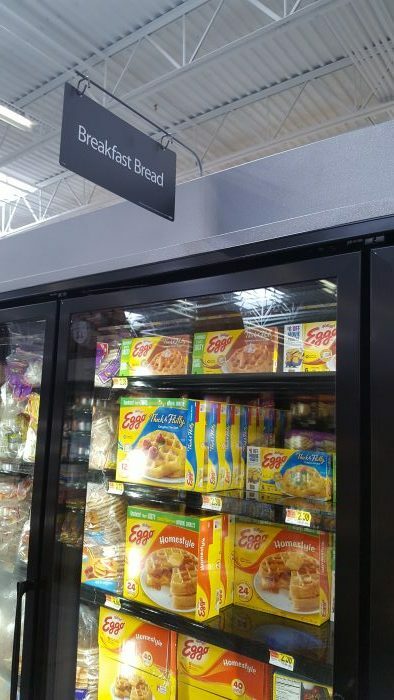 Kellogg’s® Eggo® Choco-Toast™ Chocolatey Chip and Eggo® Cinna-Toast™ Cinnamon Roll are both packed with flavor, have no artificial flavors, and colors are from natural sources. The Eggo® waffles now have natural colors, as well. 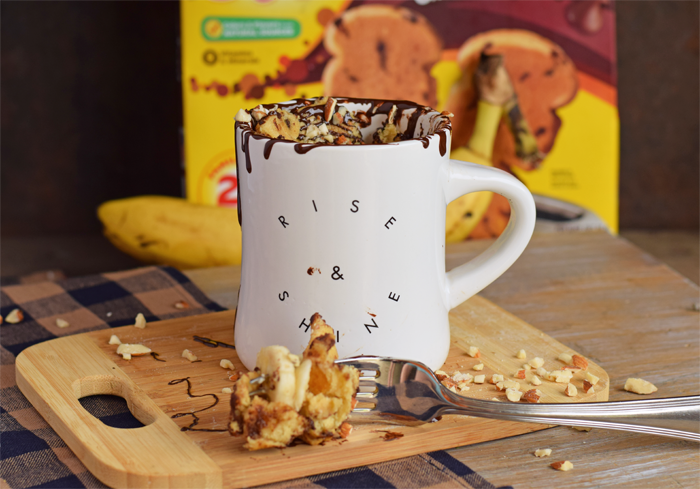 Change up the flavor of this breakfast mug with the Eggo® Cinna-Toast™ Cinnamon Roll variety, cinnamon, nuts, and banana. 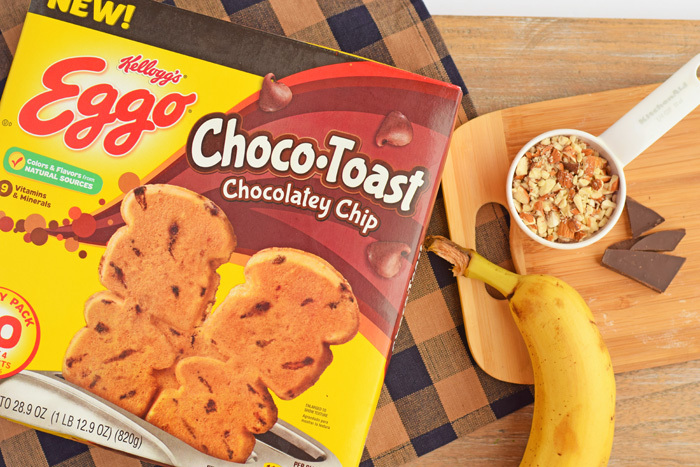 Tasty for snacks, too, Eggo® has a reputation for convenience and on-the-go. 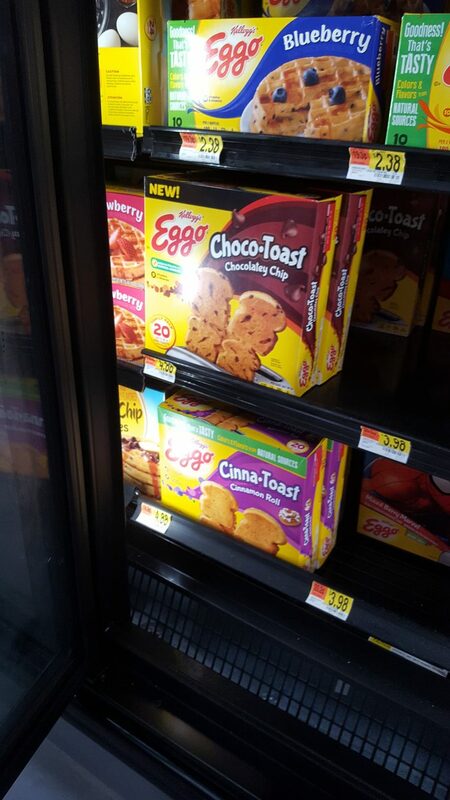 Purchase Eggo Choco-Toast™ Chocolatey Chip or Eggo® Cinna-Toast™ Cinnamon Roll at Walmart and earn $1 when using this Ibotta offer. Get more recipe inspiration here! This is so clever! My son calls them “tiny toast” waffles. And I love to cut them into four pieces and use them for fun things. This is a new one for me! Last week we used the cinnamon roll ones to make parfaits. The chocolatey chip ones are my personal favorites, though! Right on! How creative! 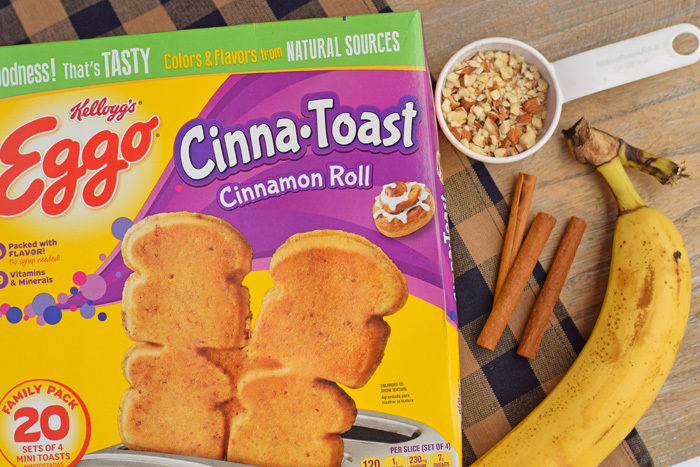 Looks like a great breakfast idea that my kids would really love. We eat a lot of the EGGO products for breakfast because the kids love them and they are easy to prepare. I have never thought of doing this though! YUM!! I love all the flavors in this tasty breakfast mug. 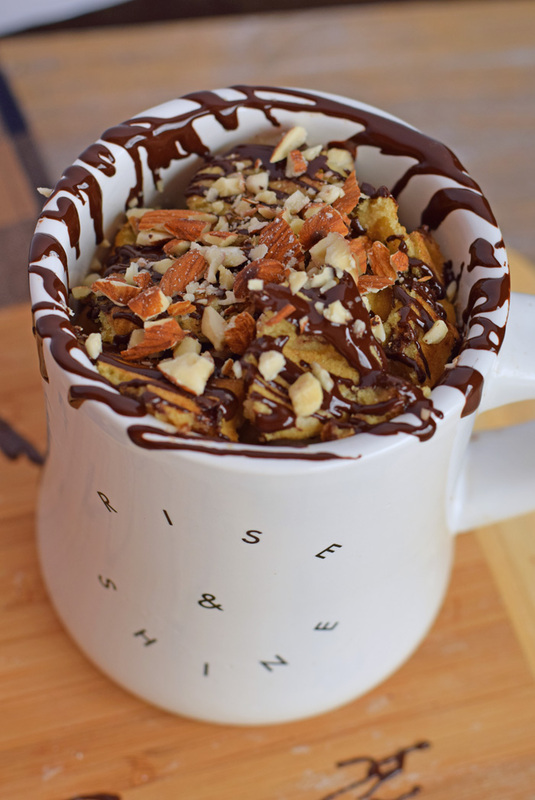 It’s hard to go wrong with bananas and chocolate. I’d just have to leave off the nuts. Thanks for sharing this idea! 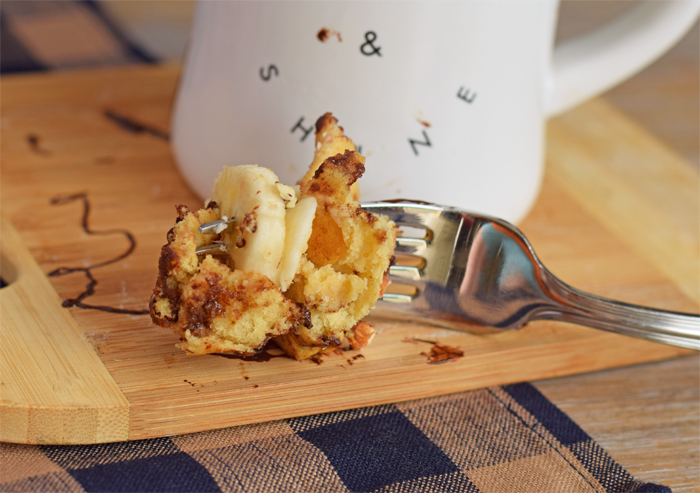 What a quick and easy (and delicious) breakfast idea! I love satisfying my sweet tooth in the morning…it curbs any desire for sweets for the rest of the day! 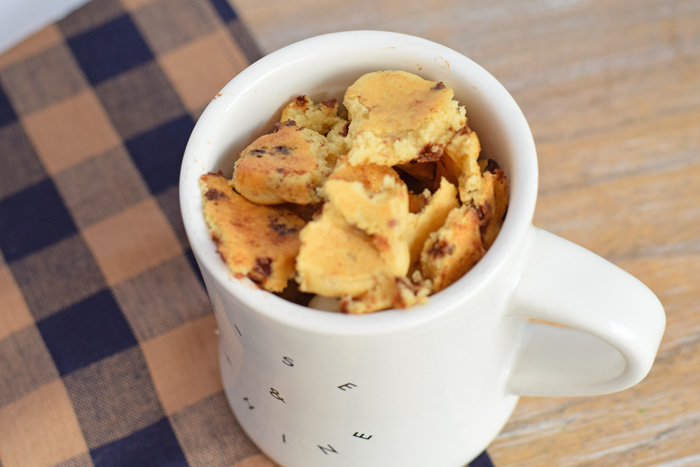 This is such a cute snack/breakfast idea! My grandchildren love a variety of fruit with breakfast so perhaps we can try mixing it up a bit! 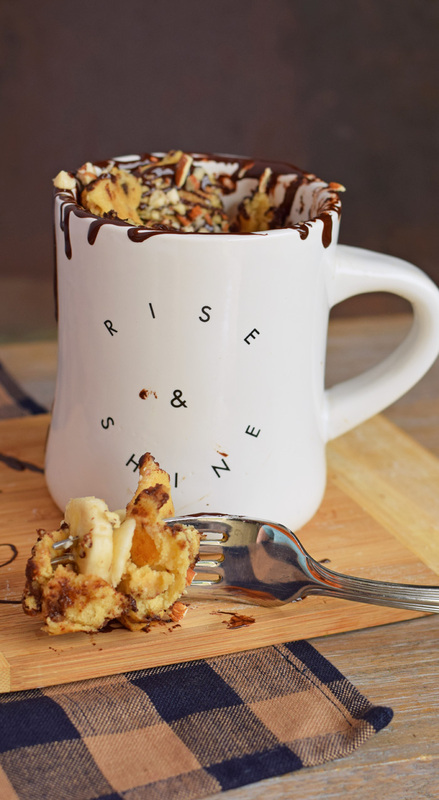 Thank you for sharing this wonderful eggo recipe!